Soccer, also known as football anywhere outside of America, is huge in Albania and the rest of the world. It’s a very competitive sport that brings together people from around the globe to partake in the games. Everyday I see young boys to grown men practicing soccer around my community and my balcony faces my city’s stadium, so I can watch the games from the comfort of my home. I have honestly never been that interested in soccer, or any sports for that matter, but sometimes I can get into the spirit. It’s a great way for me to relate to my community and integrate with people here. I even watched some of the World Cup matches with my students and that is a big deal, especially since it is hard to get me to watch the Super Bowl when my own home team is playing in it. On October 14th Albania faced Serbia in Belgrade for the European Championship qualifier game. No Albanians were allowed into the stadium to watch the game in Serbia, however you can bet that practically every Albanian was glued to their television set for this particular game. The score was 0-0 when Serbs began throwing flares onto the field. Along with throwing flares the fans were also chanting ethnically derogatory chants such as, “Kill the Albanians.” The game was then paused to clear the field and during the break a small drone was seen over the field sporting a Greater Albania flag, which included portions of surrounding nations with high ethnic Albanian populations. 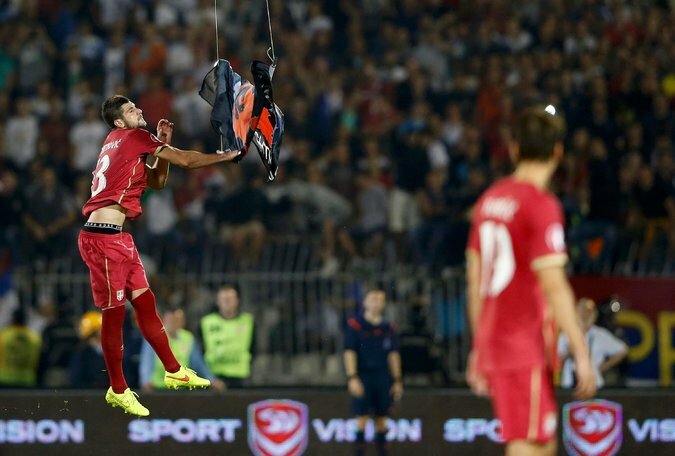 One of the Serbian players tore down the flag from the drone and fighting ensued amongst the players. There are rumors that the Albania’s Prime Minister Edi Rama’s brother was the one to set off the drone, but no findings have been shown to prove this. 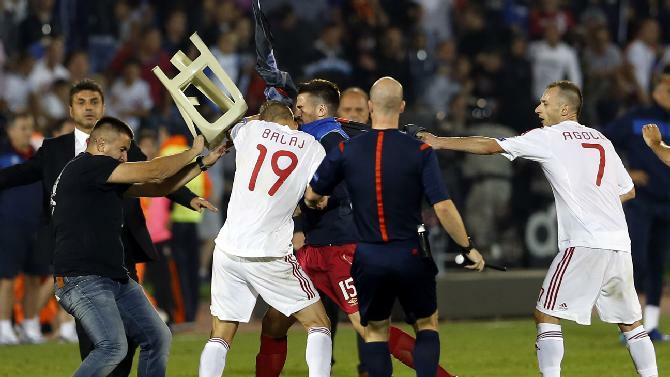 After the players began fighting the Serbian fans threw chairs and other objects onto the field in attempts to assault the Albanians. The players had to flee for their safety off of the field. After the Albanian players fled the stadium the game was suspended for 40 minutes and eventually abandoned. This was the first time that Albanians had played a game in the country since 1967 because of previous tensions between the nations due to the independence of Kosovo from Serbia. Many Albanians assumed that Albania would receive the win for this game, but today the Union of European Football Association (UEFA) announced that Serbia would receive the win 3-0, but without any of the points. 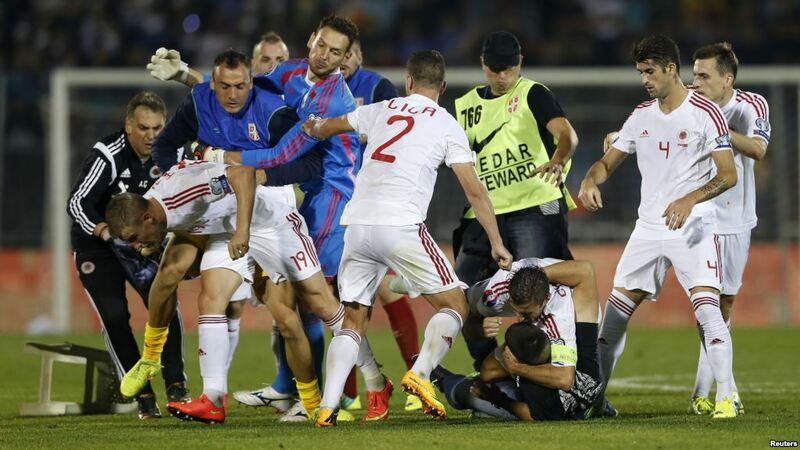 Serbia was given the win because during the 40 minute suspension the Albanian players refused the pitch. The Albanian players were assaulted by fellow players and fans, so it’s no surprise they did not feel safe to continue the game. Both teams received punishments for their behavior during this game and were fined 100,000 euros. Serbia also has to play it’s next two games without fans in attendance. This game was more than just your average soccer match against rivals. The tension dates back thousands of years between the countries. In order to understand the significance of this, it’s important to look back on the history of Albania, Kosovo, and Serbia. 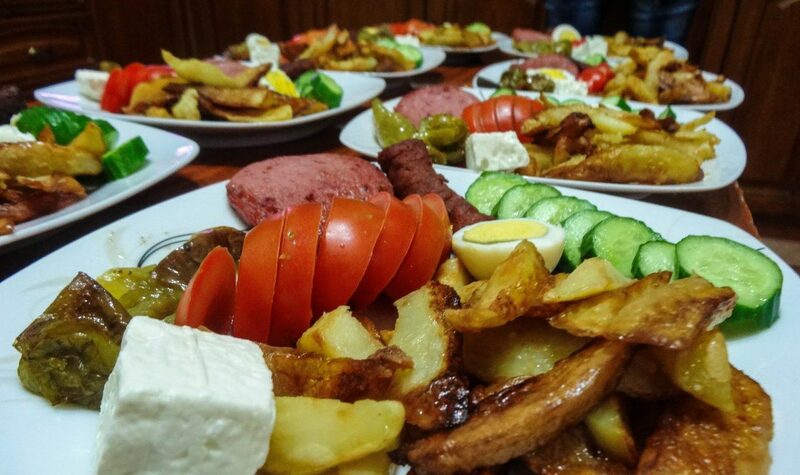 Albanian ancestry can be traced back to the ancient Illyrians that evolved from the Stone Age. Albania has been under control and attacked by Romans, the Bulgarians, Norman crusaders, Serbs, and Venetians before the Turkish Ottoman Empire. Under Ottoman reign, many aspects of Albanian culture were destroyed. The people were oppressed and excluded from growth and trade with other European countries. Many Albanians resisted the changes and refused to follow under Turkish control. In order to try and maintain the country, the Turks scared many of the inhabitants to convert to Islam. About 2/3 of the country converted, many out of fear of the regime. Albanians continued to resist Turkish control and in 1878 the Albanian League was formed to help preserve Albanian traditions and language. They fought again with the Ottoman Empire in 1908 and finally succeeded in 1912. This new independence eventually led to the rise of communism with Enver Hoxha in 1941. Hoxha also oppressed the people of Albania and instilled fear among the country. Thousands of bunkers were built across the country in case of foreign attack and Albanian was, once again, isolated from the rest of the world. After Hoxha died in 1984 the communist party eventually collapsed in 1989. Reforms came into place in 1990 and a multiparty system was put in place with a planned election in the next year. In 1992, a new democratic regime came to power in Albania under the control of Prime Minister Sali Berisha. Recently, a new Prime Minister, Edi Rama – former Mayor of Tirana, was elected to help govern the country. Since Rama took over power in 2013 the country has seen a lot of changes and he is pushing to help Albania become a member of the European Union. Greater Albania is the concept that portions of Macedonia, Montenegro, Greece, Kosovo, and parts of Serbia belong to Albania because the majority of the inhabitants in those areas are ethnically Albanian. Only 60% of Albanians in the Balkans live within the borders of Albania. Another 10% of Albanians are living along the Albanian-Montenegrin border. 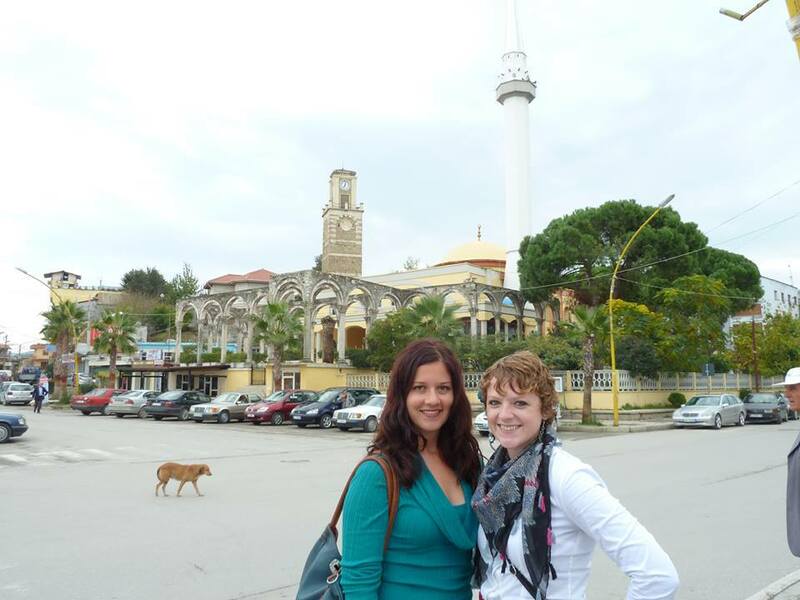 Many of the other ethnic Albanians are spread out in the other bordering countries of Greece and Macedonia. Kosovo is 90% ethic Albanian and 10% Serbian. The earliest known people in Kosovo were also that of Illyrian descent. Slavic descendants were in control of the land in Northern Albania and Kosovo by the 12th century. Kosovo is considered to be “Old Serbia” by many Serbs. Kosovo, like Albania, was eventually conquered by the Ottoman Empire and many inhabitants were converted to Islam. Many Serbs began to resist the conversion to Islam due to their Christian ties to the Orthodox church. They began migrate out of Kosovo towards Belgrade; this is known as “the great migration”. Then Albanians moved into the Kosovo region. A Serbian seminary was opened in 1871 in the city of Prizren, which led to a stronger presence of Serbs in Kosovo. Albanians called for the “League of Prizren” to help resist advancements of Serbs on Albanian territory in Kosovo. Rebellions continued in the region and eventually the Serbs regained control of the Kosovo in 1912 during the Balkan War. 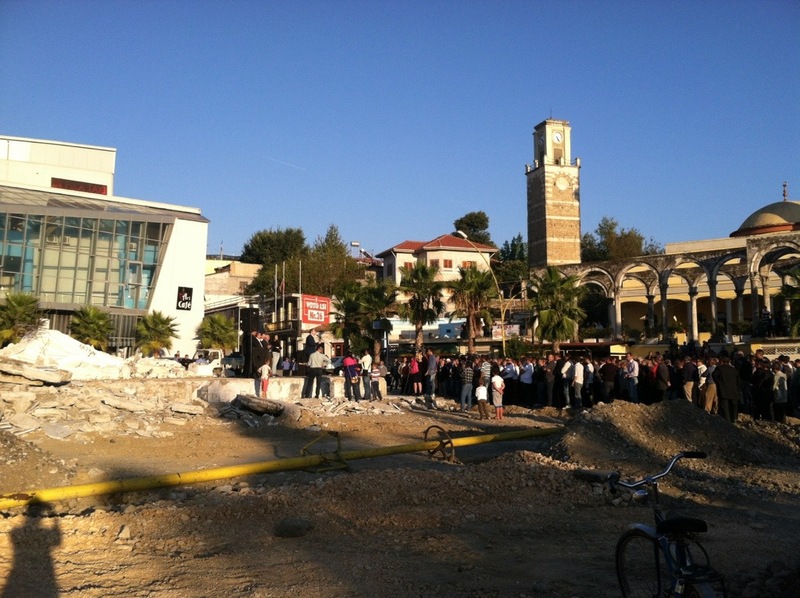 Albanians continued to outnumber Serbs in the area 2:1. Kosovo eventually had a ‘voluntary union’ with the Republic of Serbia under a Yugoslav Federation in 1945. The Albanians in the region continued to be treated as a minority and as second class citizens, even though they were the majority by numbers. Kosovo was at a disadvantage economically and eventually in 1981 student protests in Prizren called for a secession. Serbs in Kosovo felt mistreated and took over control of the media, schools, health-system, and industries under the Communist leader Slobodan Milosevic. Albanian Kosovars were denied their basic human rights during this time. The Albanian Kosovars tried to peacefully break free from Serbia in 1991, but were met with resistance and continued oppression. The Kosovo Liberation Army was formed in 1995 to fight against Serbia and Yugoslavia and in 1998 armed conflict took over the region. Over 700,000 weapons came into the country and guerrilla warfare ensued. Many ethnic Albanians were targeted by the Serbs and over 900 Albanians were killed and many were forced to leave their lives behind. Since Kosovo was part of the Republic of Yugoslavia, NATO was hesitant to get involved in the conflict, but the conflict was a human rights catastrophe and eventually NATO began launching air attacks against the Serbian militia. Over 850,000 refugees left Kosovo during this time. Serbia finally agreed to sign a UN peace agreement in 1999 after the 11-week war. However, this was not the end of the violence in the region. More ethnic violence ensued in 2007 and NATO sent in more assistance to keep control in the region. In 2008, Kosovo became independent with the recognition of the United States, France, Germany, and Britain. Russia and Serbia felt this was a violation of international law and do not recognize an independent Kosovo. Recent deals were made in 2013 between Serbia and Kosovo. Serbia now recognizes that Kosovo’s government has control over Kosovo and the primarily Serbia areas in the north of Kosovo have autonomy. In my opinion, the decisions made by the UEFA continue to exacerbate tensions in the Balkans and it promotes the continuation of oppression of Albanians in today’s world. There is no doubt that the fans were chanting racist and inappropriate remarks towards the Albanian players. The players arrived in the stadium with fans chanting out death threats! That is ridiculous and it is not good sportsmanship. Their words were paired with violence as well. Flairs were thrown on the field, which was the reason play was originally halted in the first place. While Albanians definitely played a role in this dispute, they were not the original perpetrators – like much of the media online suggests. This is a disgrace to the UEFA and to soccer. Sports are meant to bring people together, but instead they are sparking up ethnic tensions that have been present for many years in the Balkans. It is not right to give the win to Serbia because Albanian players did not return the pitch. The Albanian players’ lives were at risk. No wonder they did not feel “psychologically ready” as one player stated. How could someone feel safe to play soccer when thousands of people are cheering, “kill the Albanians” and throwing objects on the field. I agree with Albania coach Gianni De Biazi who stated, “The UEFA commission’s decision does not give justice. The three points belong to Albania and they’ve taken away from us what we’ve deserved.” Albania deserves the win. Many of my Albanian friends see this decision as perpetuating racism and I agree. It is not right for the UEFA to give the win to Serbia after the Albanian players were faced with animosity and straight up racism. We cannot ignore what is blatantly in front of us. Albanians will fight back through their appeals to the UEFA. I hope they win. 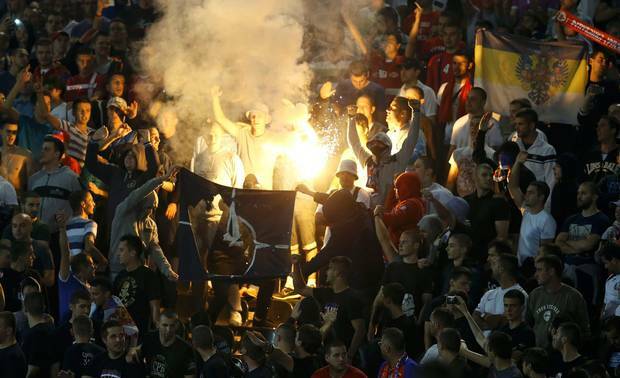 Serbian fans burning the NATO flag during the match. A Serb player capturing the flag from the drone. Fighting among the players of both teams. A chair hurled from the fans. 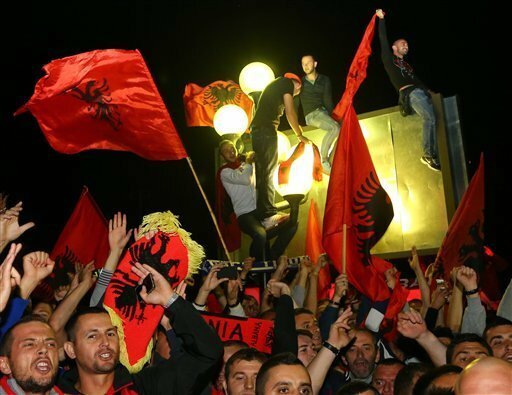 Albanians supporting their team in Tirana after the match ended. More support for the Albanian soccer players. A fact sheet that Prime Minister Edi Rama posted on his Facebook page. With the start of fall comes a renewed sense of energy in my community and my work here. My trip back to America gave me perspective and a new drive to use towards my projects in the upcoming months of my service. Before leaving for the Blog It Home Top Bloggers week in Washington D.C I felt stuck in a rut and was a bit lost at what I was going to focus my efforts in during my second year in Albania. 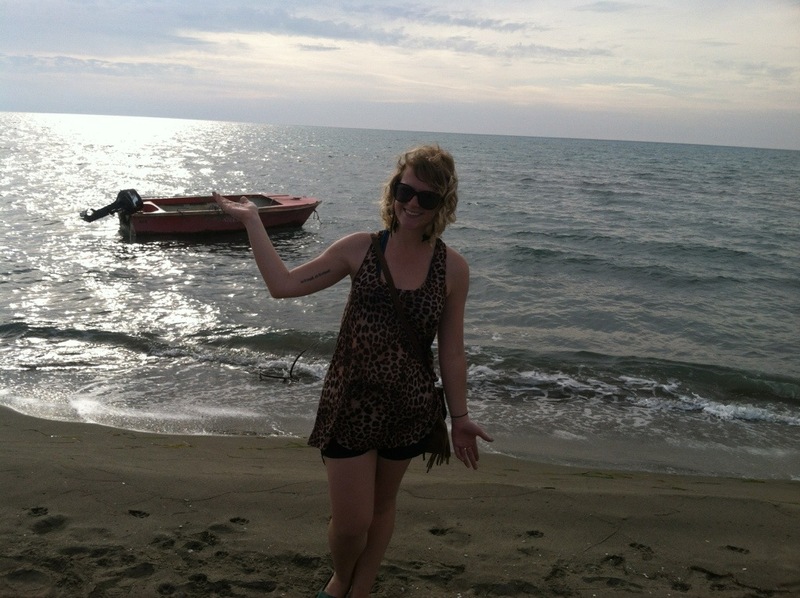 Now that I am home in Albania and school is back in session, projects and work keep coming my way. I might even have to start rejecting some offers because it seems as though I am going to be pretty busy. I am really excited to have work finally come my way. My first year of service was a lot about building relationships and sometimes I wanted to pull my hair out because I was unsure if all of the “intentional relationship building” was ever going to turn into anything substantial. Sure enough though, just like it’s outlined in the Peace Corps timeline of a volunteer’s service, things are beginning to look up. One of my counterparts at the Directory of Public Health and I are putting the final touches on our cervical cancer project and hope to get a Small Project Assistant (SPA) grant provided through Peace Corps. We initially applied for this grant back in January, but unfortunately our original proposal was not approved. We learned from this experience and have spent the past months ironing out details and learning how to work better together to get this done. This has been quite the learning process for both of us, but I think that we finally have a good understanding of how we can make this work for ourselves and for our community. I really hope that the project will be accepted this round because it would be a great success for my workplace and there is a serious need in our community. The first aspect of the project will focus on training 30 health professionals in our city and the surrounding villages about female health through a half-day training of trainers. After the training they will be able to: identify risk factors of cervical cancer, demonstrate how to properly use contraceptives, utilize community resources to receive PAP smears, explain the recommendations for annual PAP smears/pelvic examinations, explain good sterilization procedures, identify the female reproductive tract, and improve their capacity regarding women’s health topics. In the second portion of the project, the health professional will take their knowledge learned at the training of trainers and hold their own mini-trainings for women in their community. Once the women in the village receive the training, they will then have the opportunity to receive a free cervical exam and PAP smear at the local hospital. The community health professionals will help pick the participants for the training and PAP smears based off of risk factors, age, etc. Another project that I would like to work on in this upcoming year is starting a youth center in Kavaje based off of a successful center that was started in Berat through the work of several amazing Peace Corps volunteers. The project would partner with the town hall and the culture centers in the city. The youth center would be an open space for future Peace Corps volunteers and community teachers and counterparts to use for after-school activities, clubs, summer camps, etc. I am very interested in youth development in my community and offering students here an opportunity to expand their learning outside of the traditional classroom environment. Once the project is approved by the mayor, I will apply for a Peace Corps Partnership grant and will begin raising money back in the states and here in Albania to help buy supplies and materials to make the youth center a reality. Last year the first Outdoor Ambassadors group was started at the high school. 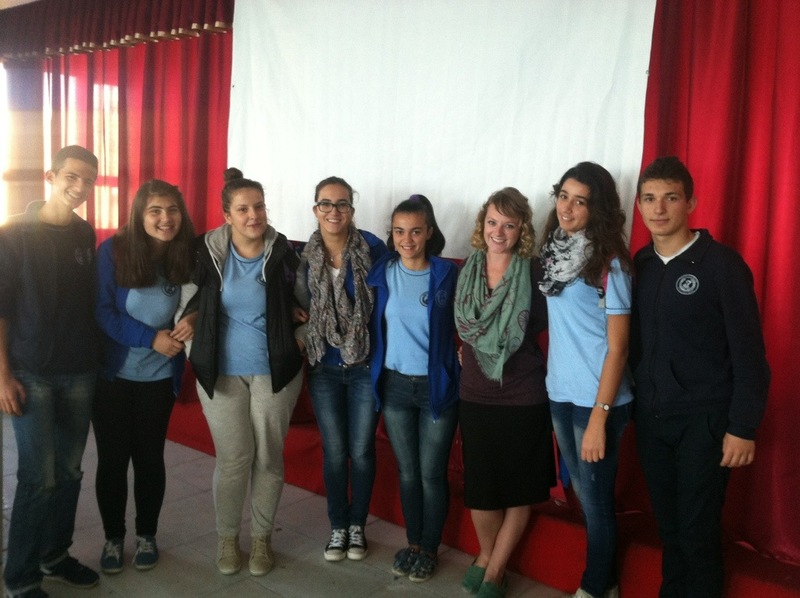 We work on volunteer projects and building student leadership. This year I would like to expand this group to the professional high school here. Having a youth center and a reliable space to hold these meetings would help out tremendously. Beginning English clubs and homework clubs would also be much easier if the city offered us a space to hold regular meetings. My site-mate Chuck is also starting a Toastmasters club and a Gavel club, so this center could also be used for those activities as well. It would also be great for my soon-to-be yoga club! *Fingers crossed. I have a lot of great ideas, but sometimes it can be hard to find the time and to manage my time efficiently to work on all of them. The high school is also hoping to bring Model United Nations back as an afternoon activity for the students. This year I would be co-facilitating that club with a teacher at the high school. So far I have received a lot of student interest for Model UN, so hopefully our application will be accepted. If we are accepted, the students will be given a country to represent in the nation conference and they will mock debate with other clubs across Albania. It is a great way for students to learn about diplomacy, practice English, learn proper research methods, and become up to date on current event. Continuing health education classes in all the schools, holding several after-school clubs, and working on two different project proposals should keep me pretty busy for the next year. I am so excited to see where everything goes. Now I just have to begin bracing myself for the colder temperatures… My house is absolutely freezing in the winter and I am not exactly ready to be living inside my coat and sleeping bag just yet, but at least this winter I know what to expect. Our first OA meeting of the school year to talk about promotion, upcoming projects, and the new school year. One of my counterparts and my other counterpart’s baby. 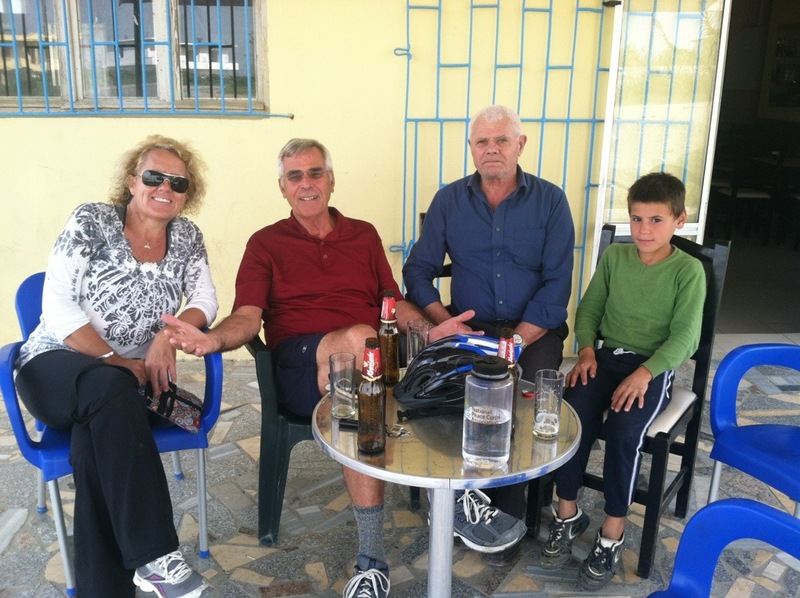 Stopped for a drink on a 45 km bike ride with my site-mate and another Peace Corps volunteer. Hanging out at Spille beach. It was a beautiful place to bike to. 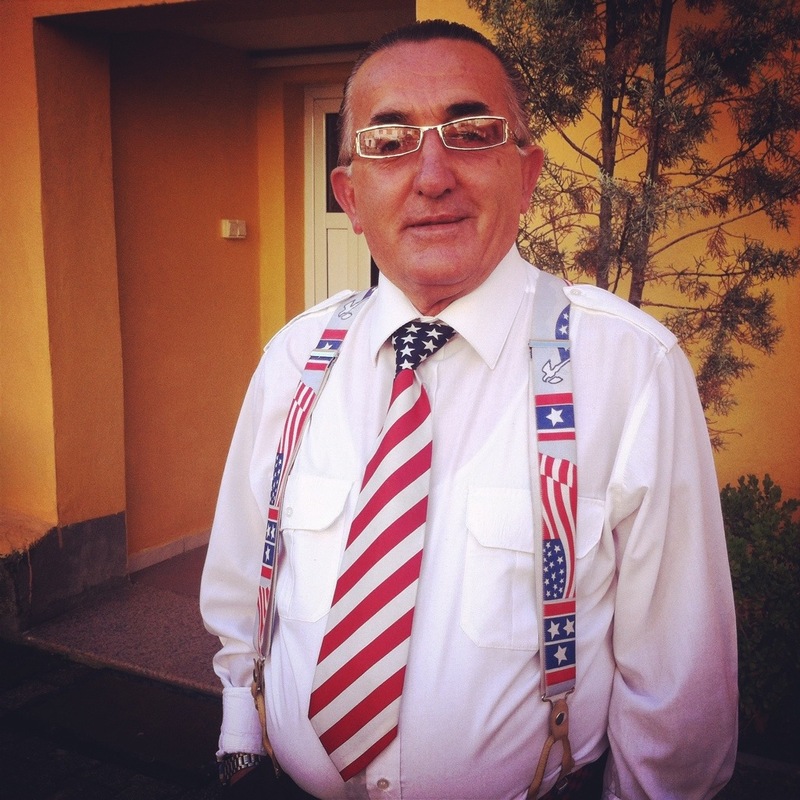 The doorman at my workplace dressed in full American garb. I told you Albanians LOVE America! Darien Book Aid recently donated me a bunch of books to expand the English section of our library. 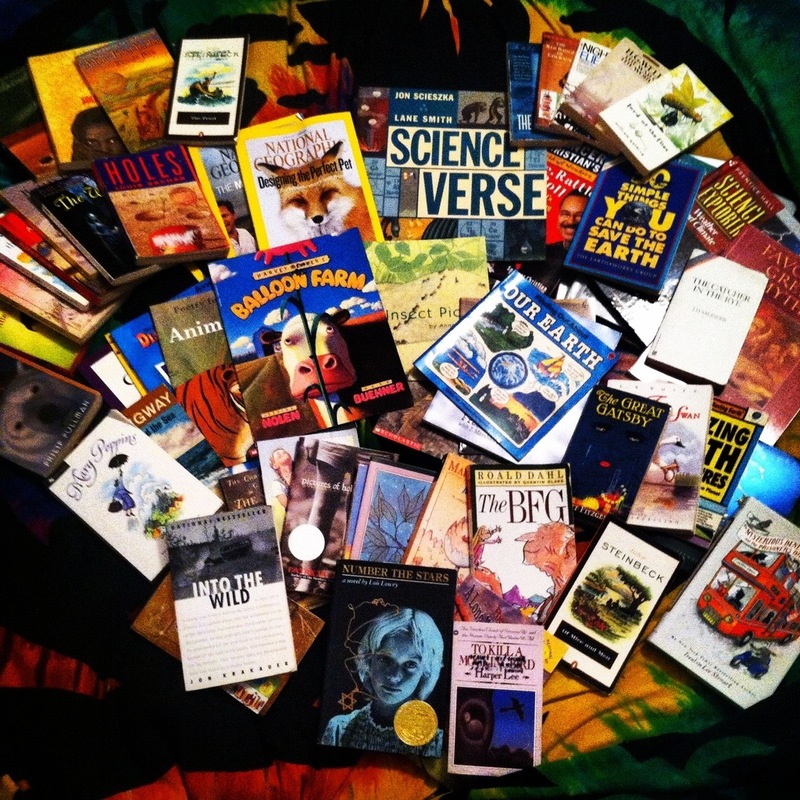 Right now there are only about 10 outdated books. This will be so great for the students!! In the fall of 2013 I wrote a poem about my site-mate Kate. Kate has been the other American living with me in my city for the past year and a half. We’ve had a lot of good times together: shopping at the treg, traveling around Albania, having coffees for hours, running youth groups, talking about life, and so much much. 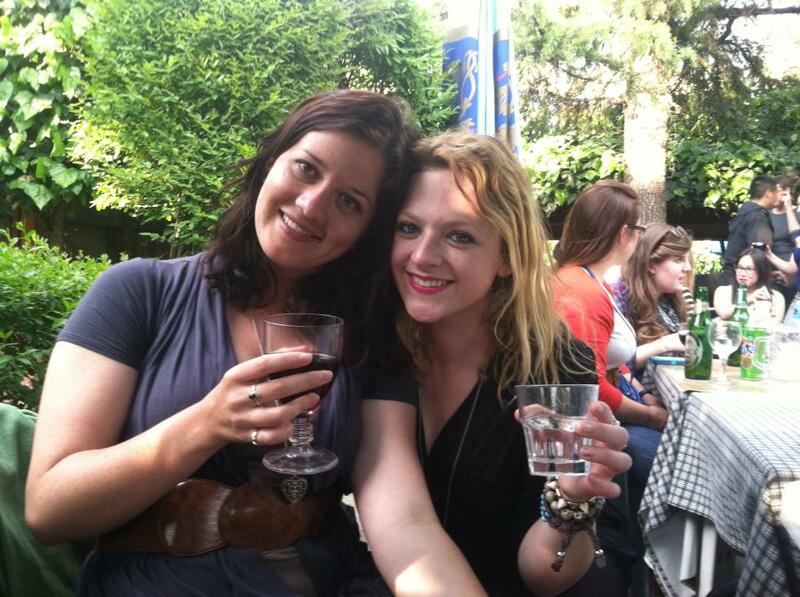 Kate is now on to her next endeavors in America and I will miss her so. 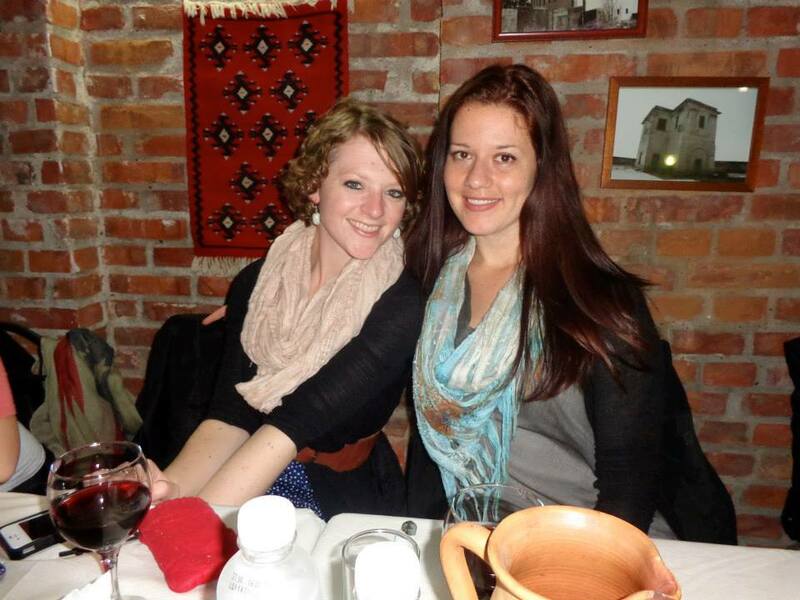 I am so grateful to have had to opportunity to live, learn, and grow with this amazing girl during my Peace Corps service. I can’t wait to see what the next chapter brings for her. Here is the poem I wrote, which was originally published in the Peace Corps Albania monthly newsletter “Hajde Hajde”. “I love my site-mate Kate. We often go on coffee dates. And we go out for afternoons on the town. And make all the çuns gawk. Kate is more than my site-mate. Hanging around in our city. 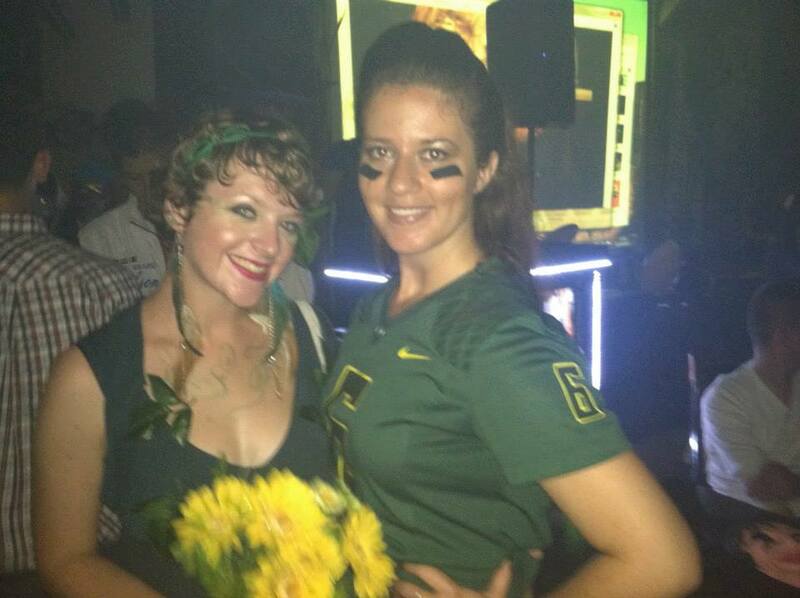 Celebrating Halloween at the party for the high school students. 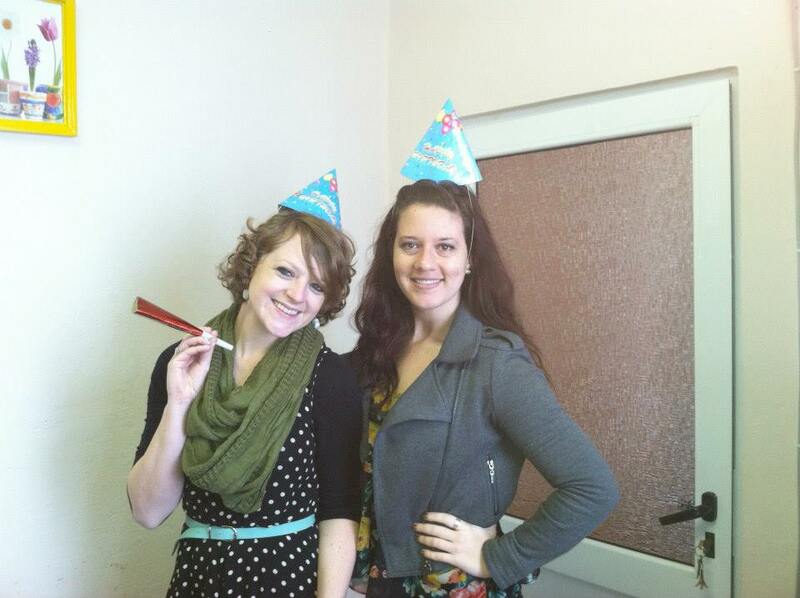 Kate surprised me at work with a birthday cake. 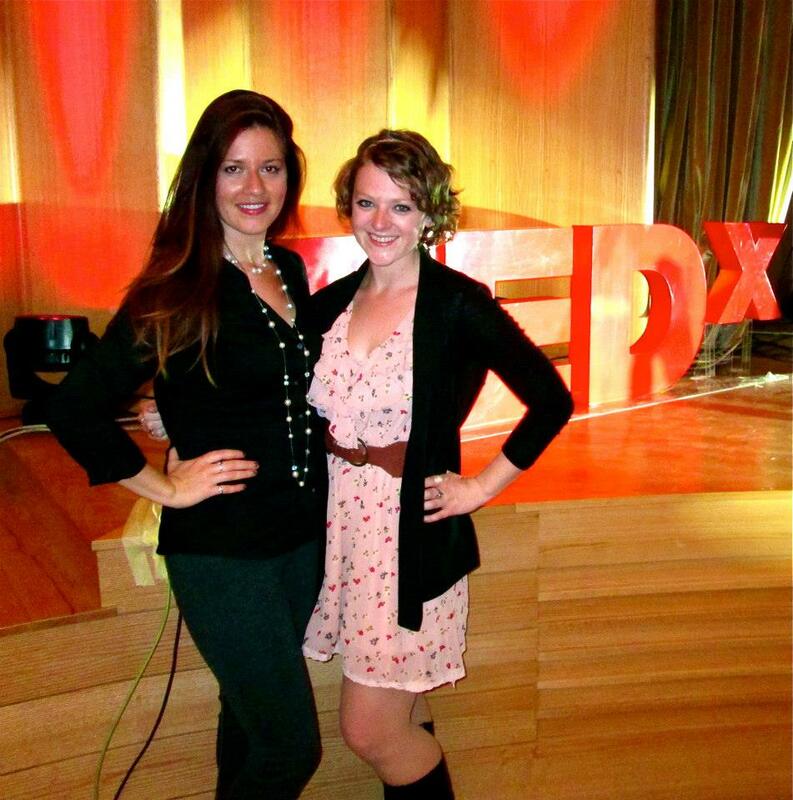 After Kate’s wonderful TEDx talk. At our favorite pizza restaurant. Until we meet again my friend… Ma ka marë malli për ty.